Save 25% on Wise Company Survival Kits this week at J&N Feed & Seed! 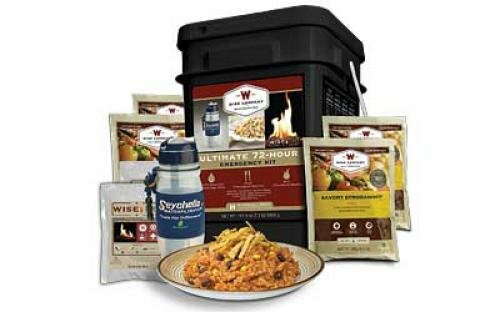 Wise Company takes an innovative approach in providing dependable, simple and affordable ready-made freeze dry and dehydrated food for emergency preparedness and outdoor use. 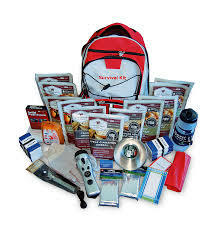 Ultimate 72-Hour Emergency Kit – 2 or 4 Person Kit – An emergency kit designed to get you started with your preparedness needs. 2 Person Kit includes a total of 72 servings and 13,120 calories. Ideal to help 2 people survive for 72 hours. 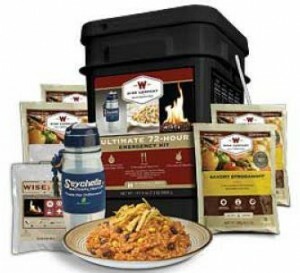 4 Person Kit includes ten entrees and four breakfasts and four beverages for a total of 144 servings. Everything 4 people need to survive for 72 hours. This entry was posted on Tuesday, April 28th, 2015 at 5:33 pm	and is filed under Events, News & Updates. You can follow any responses to this entry through the RSS 2.0 feed. Both comments and pings are currently closed.